We have rescheduled our AIIMS exam for today. We plan to conduct 5 mock exams in total till AIIMS PG, so you have enough practice before the real exam. More details on this will be shared soon. Following is the marking scheme shared on the official website. *It shows that attempting the new pattern questions is much more risky since the negative marking in these is 100% instead of 33% in the usual single response question. **Official rectification regarding Multiple Completion and Reason Assertion questions has been made. The correct answers will be awarded 1 mark each instead of 1/4. The official notification also mentions that the majority of questions in this session will be the usual Single best response type. The Questions for MD/MS/MDS Entrance Examinations are of the objective type and consist of 200 Multiple Choice Questions (MCQs). Each question shall have two columns with four items in one column (A) that need to be matched appropriately with the best alternative available in the next column(B). Arrange the following bone tumors/lesions sequentially in the order of prevalence with regard to age: Tumour/ lesion occurring in the youngest age group first and the oldest age group last. Each EMI /EMQ will broadly have the following components. You have to select the best possible answer from the Answer Option List. A 30-year-old male presented with fatigue and pain abdomen of six months duration. On examination, he is anemia and has multiple, cervical lymph nodes around 1cms in size, hepatomegaly to the extent of 2 cms below costal margin and a spleen that is enlarged to 10 cms below costal margin. Laboratory examination reveals Hemoglobin of 7G/dL, Total Leukocyte Count of 85.6 X109/L and Platelet Count of 326 X109/L. The peripheral smear showed mild anisocytosis and poikilocytosis of Red Cells. Normoblasts were not seen. There were increased numbers of neutrophils and neutrophil precursors and few basophils were identified. Occasional blasts were seen. The Differential Count was: Blasts 1%, Promyelocytes 1%, Myelocytes 8%, Metamyelocytes 7%, Band Forms 22%, Neutrophils 41%, Eosinophils 2% Basophils 2%, Lymphocytes 12% and Monocytes 4%. Numerous platelets were identified singly or in clumps. Total Bilirubin was 3.2 mg/dL and the Conjugated Bilirubin was 0.5 mg/dL. In the above example, there are 2 scenarios. Therefore, the marks allotted for each scenario shall be +1/2 for the correct answer identified from the Options List for each scenario and -1/2 will be deducted if an incorrect answer identified from the Option List for that scenario. 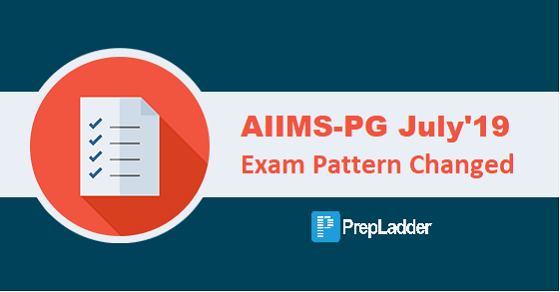 We hope by now you are aware of the changes in the exam pattern. We’ll be incorporating the required changes in our test-series soon.